Nancy Douyon is an International User Experience Researcher at Uber where she currently leads research on the end to end experience of critical launches globally. She creates research platforms globally to ensure an increase of usability in products, applications, complex systems and websites across different cultural ideals and cultural practices. She consults globally on remote user research methods and research in emerging markets. Her research also examines how tech policies globally were promoted, developed and implemented, considering issues of networking, organizational innovation, and institutional practices along the way. She has been instrumental in initiating a user experience lifecycle approach that is now deployed across over 15 products worldwide. Prior to joining Uber, Nancy held research and engineering positions at Google, IBM Interactive Research, Cisco, Accenture Experience Agency, and Intel’s Mobility Group. Nancy is also proudly Haitian, has traveled to 70+ countries worldwide and also happens to be a global Carnival dancer. 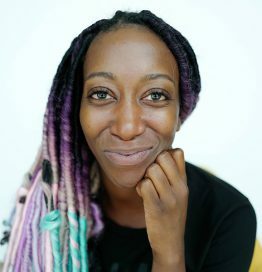 In her spare time, she educates minorities in tech around the globe in user experience methodologies, culture-themed designs planning and implementation of user goals in products, and personal career management.